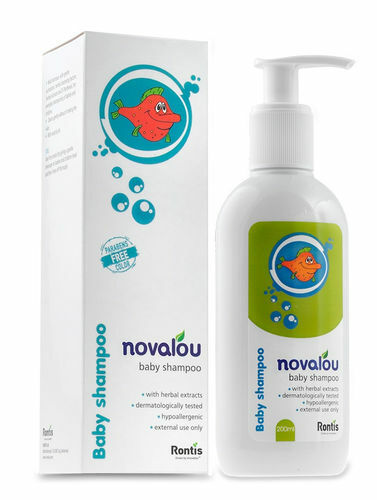 Novalou Baby Shampoo is formulated with gentle surfactants and herbal cleansing agents. Enriched with calendula extracts and D-Panthenol, this mild shampoo is safe for everyday shampooing of babies and children. The pH neutral formula respects baby's delicate skin and eyes. About the Brand: Rontis Consumer Healthcare aims to provide and distribute healthcare products directly to consumers through appropriate and scientifically skilled 'delivery points' such as pharmacies. The company invests in research and technology to create safe and effective products that give healthcare professionals solutions to everyday needs of consumers. Novalou and Novatopia products by Rontis are especially designed and studied to deal with the various needs of babies and young children, fully responding to the functional qualities of baby products. While Novalou products take holistic care of very dry, sensitive and atopic skin, Novatopia products focus on restoring the epidermal barrier and strengthening the defense of the skin. Explore the entire range of Shampoo available on Nykaa. Shop more Novalou products here. Explore the entire range of Bath Time available on Nykaa. Shop more Novalou products here.You can browse through the complete world of Novalou Bath Time .